It’s only natural that as soon as the temperature goes down, we look for ways to warm up the appearance of our skin, hair and make-up. From shades of gold, bronze, red and auburn, to the more adventurous, there’s a fun new hair colour that’s perfect for you. Hair colour has moved to the more bold side of the colour spectrum with new terms and trends popping up monthly. These shades are perfect for this time of year because they add richness and warmth to hair and skin, which appears notoriously duller and paler in the cooler months. Now to choose the perfect shade for you! Keen to throw caution to the wind and make a big change? For the more experimental shades and rainbow-coloured locks, the rules are, there are no rules. Let your imagination run wild and have some fun. 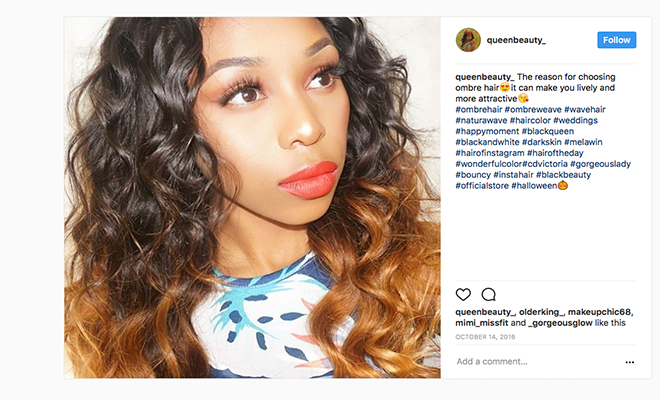 Consider your skin tone when heading to the salon though. Those with tan skin look great with magenta and fuchsia tones, while darker skin tends to look washed out when paired with paler shades. Simply find the right hue of each shade. If you have a golden complexion, why not go blue? It’s all up to you, really. If you’re fair with blonde or red hair, this is a great shade for you. Warm, inviting and romantic, this colour lights up pale skin and adds life to light eyes. To add more dimension, ask your stylist to include a few golden highlights on top or balayage at the bottom– the light will catch each strand differently, making it look more natural. Medium auburn looks best on medium skin tones. Emma Stone provides some celeb inspiration and manages to pull off both hues. 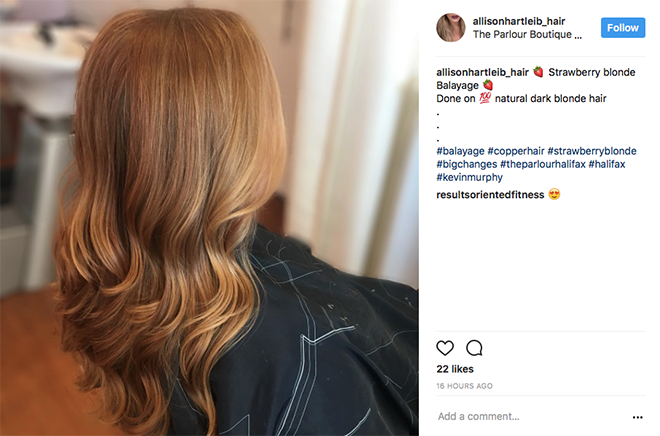 Ask your stylist to create some magic, as most colours can be personlised and tweaked to suit your tone – even if it is a few highlights or babylights. Add some sparkle to your medium brown hair with bronze highlights. Bronze is great for medium and darker skin tones as it helps create a warmer-looking complexion. Plus, it looks more natural than having full-on blonde highlights. If you don’t want to colour your whole head, add some bronze in the form of foil highlights, or even ombre. Also go for ebony brown, mocha, and violet-based colours that will enhance your natural warm tones. If you’re dark of complexion and your hair colour is dark brown to black, this is the hair trend for you. Subtle warm chocolate brown babylights and rich ombre dips are great ways to play around with colour. Chocolate brown colour works well for medium and olive skin tones, as well as for those with hazel or brown eyes. The darker the tone, the richer the brown can be. If you have a medium or darker skin tone, opt for an espresso brown colour. It gives a warm, rich effect and complements your darker eyes. For those who are fair-skinned, espresso may look a bit unnatural so stick to lighter tones. The shade that once made most run and reach for the dye has become surprisingly popular –and very chic. From silver to white and fawn, there’s a grey out there for you! 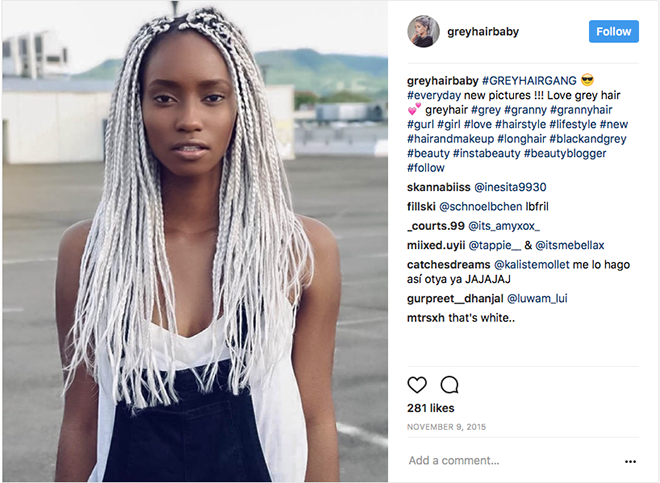 It’s one of those colours that just suits everybody and it looks great as highlights, grey ombre or full-on colour and in braids. Those with ‘cool’ complexions (have pink and olive undertones and usually have eyes that are blue, grey, or a deep brown) look great with the equally light but slightly more rich, platinum blonde hair. The green and blue undertones in the shade will neutralise your rosiness and really compliments your lighter skin tone. Overall, the general rule is to pick a tone that’s opposite from your skin’s undertones. If you have warm undertones, opt for a cooler colour, and vice versa. Those with a neutral skin tone are lucky because most colours work perfectly with your blended skin tone. No matter what shade you choose for your hair, remember to always use products that are colour-friendly. Not only will your hair colour last longer, but your hair will be protected, too. Which colour are you keen to try? I love the silver grey colour! 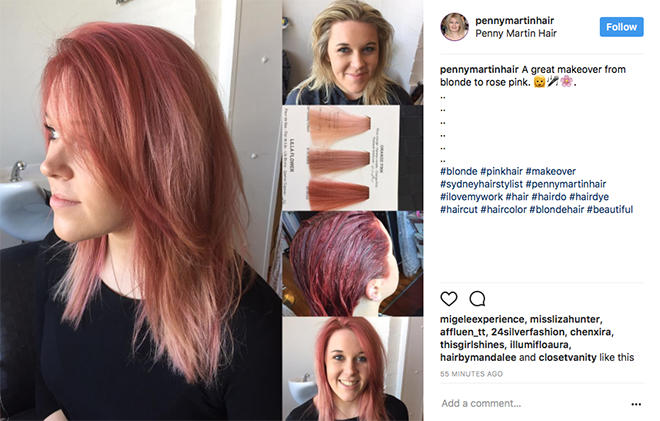 I am so obsessed with Rose-gold hair color!! I am also keen on trying bronze highlights. I hare very fair skin so wouls opt for those type of colors. I would love to try the more bolder colors but the color never comes out right . I love Rose Gold! Would love to be a test dummy for all these amazing colours. 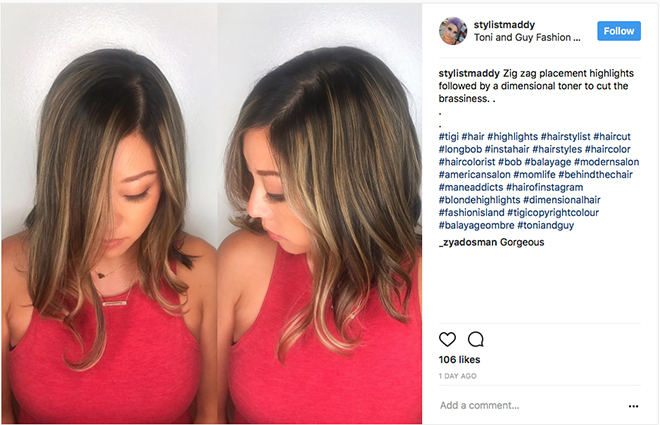 Really need to find a colorist who is experienced with Asian/Indian hair. Any bleaching effect produces an orange-yellow brassy tone and needs an experienced hairstylist to reduce that effect. I managed to get the effect I wanted by using a blue based bleach. This took it down to a yellowish blonde. My hair is naturally black, I have had it purple and now its a vibrant blue. Wow!! I love the rose gold colours and the pink, Where can one get rose gold? When I ask my stylist she said they don’t have that colour? I would love it in my hair.